This site is intended to be used as an archive for the much heralded series of NME cassettes from the olden days. I don't think this will really appeal to anyone that didn't or doesn't already have the cassettes and don't really think I'm going to cause any great problems by linking to these files but I will remove any links as soon as I'm asked to. This project was originally supposed to be a neat page to link to files already available on the web but I failed to find more than about 5 files so I got in the loft and started ripping them myself. 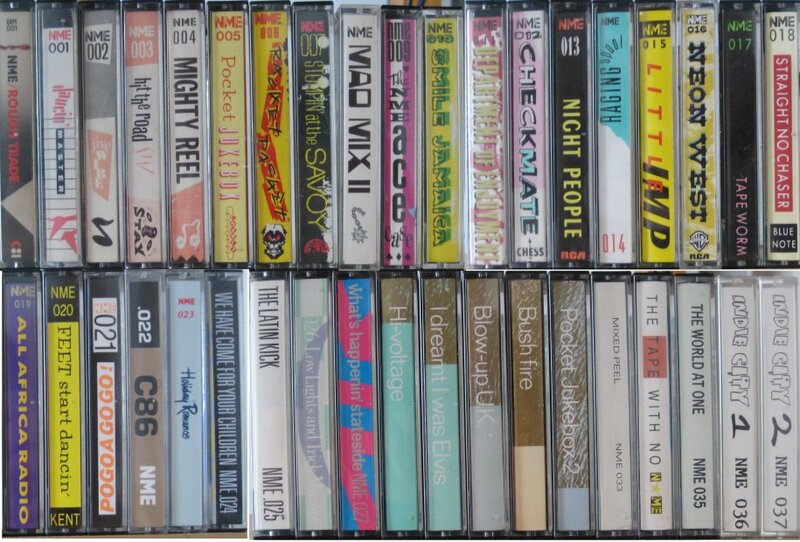 If anyone wants to read more about these cassettes then I would go here for what seems to be a pretty comprehensive overview of them with track listings. If that link disappears then again let me know and I'll republish the information here. Also, if there are any more tapes already ripped that I haven't found then can let me know and I can link them straight away which will speed up the completion of this project.